Trinity College Campus Accommodation offers guests the opportunity to stay in the heart of the city centre. 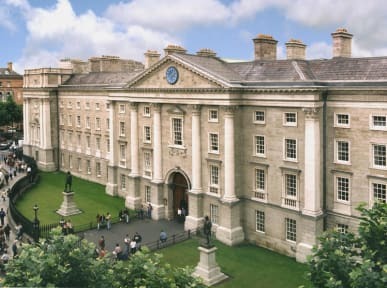 Goldsmith Hall accommodation offers 24hour security, and is within walking distance to Temple Bar and Grafton Street. Goldsmith Hall is basic, purpose built student style accommodation. These private bedrooms in shared apartments offer practical accommodation for those seeking to stay in the heart of the city on a budget. All bedrooms in Goldsmith Hall can be individually locked. The accommodation is located a 10 minute walk from the Accommodation Office in Front Square, and is connected to the Main Campus via a footbridge. A shuttle service from the Accommodation Office to Goldsmith Hall is available on check-in. Luggage Storage is available on site, and is free of charge before check-in. Bed linen and towels are provided in all rooms. 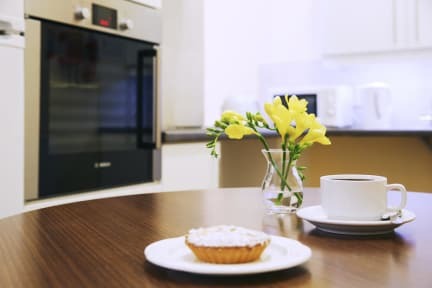 Hair Dryers, Irons, Kitchen Supplies, and Plug Adaptors are subject to availability, and are available from the Accommodation Office on request.